Originally built in the 1980s, the plant filed its application for a license renewal in October 2010. Operating under 40-year licenses, the plant’s two reactors were set to expire in 2027 and 2028 respectively. Under the 20-year renewals, the reactors are now cleared to operate through 2047 and 2048. STP Nuclear Operating Co. President and CEO Dennis Koehl called the NRC’s decision a significant milestone for the plant. "The license renewal of the South Texas Project is part of our ongoing commitment to provide Texans with safe, clean and reliable energy for decades to come," Koehl said in a statement. Environmentalists opposed the renewal based on concerns over the handling of the plant’s radioactive waste, its potential vulnerability to hurricanes and market shifts that have made nuclear power more expensive than natural gas and renewables. The Bay City plant was able to keep producing power when Hurricane Harvey tore through the Texas Gulf Coast last month. "I am proud of the dedication of our storm crew teammates," Koehl said. "Through great personal sacrifice, these individuals provided safe, reliable electricity to millions of Texans throughout Harvey." The South Texas Project employs 1,200 people and is one of the newest and largest nuclear power facilities in the United States. Its two units produce 2,700 megawatts of electricity to an estimated 2 million homes. 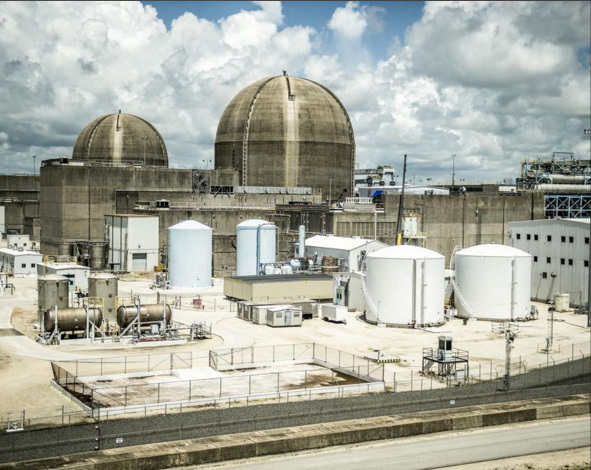 NRC officials granted the South Texas Project a license in February 2016 license to add two more nuclear reactors at the site but they have yet to be built. Cheap natural gas has made building a new nuclear plant uneconomical, but plant operators told the Business Journal in a previous interview that they will be able to hold on to the license and build them when market conditions are right.